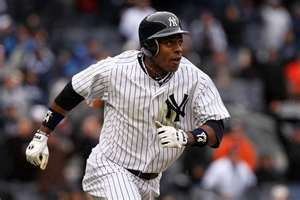 1-Curtis Granderson-OF-Yankees- You just can’t say enough about Granderson’s season. Coming into today’s double header vs. Baltimore, he leads the majors with 103 RBI’s, 119 runs scored, 36 hrs., and is among the league leaders in total bases, triples, and slug. %. Clearly a leading candidate for MVP honors in the American League. Last year, his 1st with the Yanks, he batted 30 points lower, had 12 less hrs., 43 less runs scored, and 36 less RBI’s. Even his SB’s are doubled what they were last year. He’s our ‘Most improved’ player of 2011! 2-Lance Berkman-1B/OF-Cardinals-Another one of our ‘much improved’, Berkman had a line last year that reads- 48/14/58 .248. All of his categories have shot up significantly to 70/30/81 .290. Even his Yahoo! ranking went from 443 last year to a current 39! He’s had some health issues the last three years but continues to produce even though he’s been with 3 teams in the last 2 years and will turn 36 next just before next season starts. 3-Melky Cabrera-OF-Royals- Bit of a surprise here, but Melky was a sleeper for sure this year. He improved in virtually every category as witnessed by these stats: 2010– 50/4/42/ 7 SB .255 2011– 79/17/76 17 SB .284. The former undrafted Yankee was a bust in Atlanta last year and has certainly earned the right to make our most improved list going from his Yahoo! ranking of 693 last season to a more sleeper-like 24. 4-Justin Masterson-SP-Indians- With another 6 probable starts, Masterson has already almost doubled his Win total from 2010 with 10. Where the 26 year old- 2nd round pick of the Red Sox in 2006 has mostly improved and impressed, has been in his ERA; down to 2.83 from 4.70 and his WHIP currently at 1.19, down from last year’s 1.50. 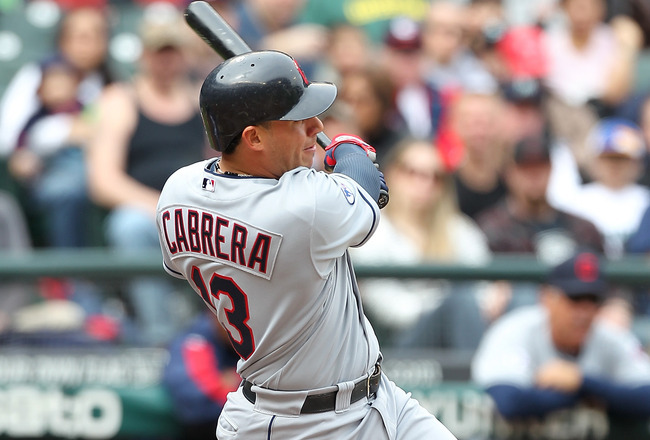 5-Asdrubal Cabrera-SS-Indians- In his 5th year in the majors, all with Cleveland, Cabrera has more home runs so far this year than in all of his previous four…combined! His runs scored-78, RBI’s-78, and SB’s-16, are all more than doubled those of last season. Another sneaky sleeper, he could improve on these numbers even more in the 23 games that still remain, and be poised to move up the charts in next year’s draft. 6-Jamie Shields-SP-Rays- He’s another pitcher on our most improved list that has drastically lowered his ERA and WHIP from 5.18 to 2.96 and 1.46 to 1.05. What makes these numbers even more impressive is the fact that he has had five games where he’s given up 5 or more runs this year, including the 10 vs. Oakland on July 27th! He should finish with more wins this campaign as well, as he’s got one less ‘W’ than last year but still has at least 6 more starts. 7-Alex Gordon-3B/OF-Royals- Vastly improved, Gordon has already hit his career highs in BA .298, runs scored 71, RBI’s 84 and hrs. 18, and he still has 80-90 more AB’s this season. 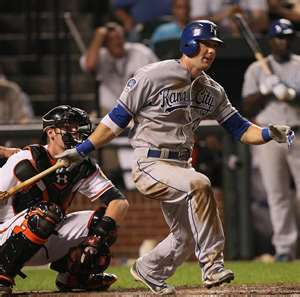 He’s finally lived up to all the hype surrounding him when he was the 1st round-2nd pick of the Royals back in 2005. With his 2-position eligibility, and now his increasingly stellar numbers, he too will be higher on your cheat sheets when you draft in 2012.